If your child is having trouble paying attention in dance class or has a tough time making good choices when the dance teacher gives instructions, there are things you can do as a parent to encourage and help your your young dancer listen in dance class. Below we’ll look at the structure of a preschool dance class and what is appropriate for your young dancer. Ballet is a discipline that cannot and should not truly be practiced until a child is around 7 years old. The maturity, physically and mentally, of a child under 7 is not developed enough for the barre work and technique required for ballet. Most dance studios teach a mix of creative dance, movement games, and some fundamental ballet postures and ideas in their preschool classes. Some studios pay too little attention to child development and getting that “mix” right for their youngest students. For example, the children may spend a lot of time in lines or standing in one spot, or the dance teacher may not vary her tone of voice or set clear limits/expectations for the children, or the kids are asked to focus on one thing for longer than they are yet able. Some children have a disposition that allows them to just “hang in there”, even when they are bored or under-stimulated. Some children do not. The repetition and extended focus that is a solid teaching method for students only a few years older is very hard to tolerate for preschool dancers. Dance is packed with learning that feels (and looks) like PLAY. Dance at this stage should have a clear structure with emphasis on creativity and interpersonal or classroom skills. Its focus should be creating thinking dancers and the development of problem solving, movement (direction, body and spatial awareness) and motor (jumping, galloping, kicking) skills. Greater emphasis on technique and choreography comes later when children begin to advance and increase their dedication to the discipline of dance study. Consider the dance teacher’s experience and style. A qualified teacher works well with and has experience teaching young children. Experience – Way too often, classes for a dance school’s youngest children are given to the school’s most inexperienced teachers. There are many reasons this happens but those who work best with little children have usually had great mentors and a lot of opportunity to observe and lead dance classes for young children. Style – Experience is not everything. Therefore, also consider the way your child’s teacher interacts with students, how he/she develops a relationship with your child, how your child feels about the class, and what you’ve seen of the teacher’s methods and teaching style. Watch carefully. At this age, your child’s response and learning in dance is more important than the skills and choreography he/she accomplishes. Every child is different and every teacher is too. If you feel your daughter is losing interest or having trouble listening because the class structure or teacher is not a good fit, you might try out other classes. This will allow you to observe how your child reacts in an alternative setting. Remember that a child may simply respond more positively to a different style, and an improved result does not necessarily mean that the previous teacher or school used poor or inappropriate methods. Whether or not your child will have a desire to continue in dance when the focus IS more on technique and choreography is hard to predict. No matter what, the experience in a preschool dance class can be invaluable for helping to prepare a young child for school and other activities. Laying a solid foundation for a future in dance begins with discovering a joy and passion for movement. 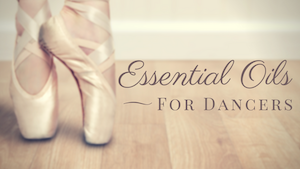 So if that’s what lies ahead for your little dancer, these feelings are what will carry him or her through the difficult periods of training which students inevitably face as they advance. If your young child is struggling to make good choices in dance class, don’t give up on dance until you’ve done some problem solving at home and with your child’s teacher. Thank you for the article!!! My daughter started asking for dance lessons a few months ago. I was hesitant at first since I was a dancer and did not want her to feel pressure to follow in my footsteps. But I decided to sign her up for classes about a month ago. She is used to doing creative movement with me at home. She is used to expressing herself and creating a lot of her own movements instead of being told to do a specific movement a specific way. Ballet is a beautiful artform with a different class structure then she was used to. As a parent, I am upset that she is not following the directions. As an educator I see it differently. I think there are some steps in the class that are very challenging for her. She gets silly instead of asking for help. I also notice that she follows the directions when she is moving across the floor and when her entire body is engaged. I always tell parents, kids and teachers when I teach that keeping the body still is so much more difficult then moving the body. The muscle control, mind body connection and patience is all being tested. I agree 100% that variety is the key to success when teaching dance to young children. The various activities can be related but having many different things to do helps all types of learners and movers. I also can’t say enough for imagery and imagination while learning. I do not believe that skills should be void of visuals and fun analogies. Learning is fun, exciting and full of adventure. Sometimes I think that teachers think that in order to have a structured well behaved class it has to be serious. Smiling is always good for the soul. So, now back to me as a parent. The challenge. I do not want her to quit before her lessons are finished (I paid for 6 weeks.) I talked with her about working on skills that are important to dancers and learners: listening and following directions. I discussed with her appropriate ways of asking for help if she is having trouble or needs the teacher to repeat a step. And I talked with her about doing her best. Which does not mean she has to do the step perfectly but the best she can. The word “perfect” should be taken out of the dancer dictionary but that discussion is for another day. So, my goal is to embrace that she is not going to be the “perfect” student, that I can help her use her words to express if she needs help, and focus her on other very important skills that all learners and dancers need to master; patience, practice, listening and following directions. And I plan on talking to her teacher as well, who I respect very much. If in a few weeks she is still having trouble I have no problem letting her take a break. 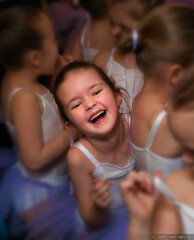 Maybe she will want to explore other dance forms, maybe she will be interested in ballet when she is older or maybe not. For myself, I took ballet when I was five. I didn’t like wearing the black leaotards and pink tights. I quit and then when I was 9 years old I stepped back into a studio and never left. Her journey and experiences in life have just begun! Stacey, thanks for sharing your unique yet also pretty representative perspective! I know it is comforting for other parents to hear that you have shared a similar experience and also to read of how you are dealing with it. You bring up an excellent point that sometimes a child just isn’t ready YET. Some parents may respond to their child’s difficulties in class with additional pressure that could turn him/her off dance altogether, while others may take the young dancer out and never return. It can be hard to know what’s best or what a particular child really needs. Your story reminds me, as a parent, to listen to, watch, and also accept the signals my child sends to better navigate some of that uncertainty.